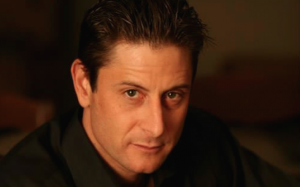 CHICAGO – Chicago’s independent progressive talk, WCPT, announced today the addition of a new show to the line-up, “I’ve Got Issues” featuring author and human rights advocate Wayne Besen. The weekly show will kick-off on Saturday, April 19 from 4-6 pm Central. Besen is also the author of Anything But Straight: Unmasking the Scandals and Lies Behind the Ex-Gay Myth (Haworth, 2003). He has been quoted or appeared in leading news and political talk venues including: The New York Times, The Wall Street Journal, The Washington Post, USA Today, NPR’s All Things Considered, NBC’s Nightly News with Tom Brokaw, ABC’s World News Tonight with Diane Sawyer, ABC’s Nightline, ABC’s Good Morning America, MSNBC’s The Rachel Maddow Show, MSNBC’s The Last Word with Lawrence O’Donnell, MSNBC News with Thomas Roberts, CNN’s AC360, Fox’s O’Reilly Factor, FOX’s The Sean Hannity Show, and Comedy Central’s The Daily Show with Jon Stewart. WCPT is one of the last independently owned radio stations in the country. Because it is not part of a conglomerate, their hosts have the freedom to speak their minds. The station believes that a blue city and a blue state deserve a Progressive Talk radio station that is entertaining, informative, irreverent and chock full of smart, funny shows with a progressive perspective. “I’ve Got Issues” will be available on 820-AM, 92.7 FM in the north, 92.5 in the west, and 99.9 in the south.